DCM study reveals 16- to 34-year-olds regard cinema as 'premium' experience. It is a myth that 16- to 34-year-olds don’t go to the cinema and don’t value cinema advertising, according to new research from Digital Cinema Media. The study, in partnership with Differentology, found that cinemagoers in this demographic value cinema as a "premium" experience and cinema ads as "trustworthy" ahead of other audiovisual media such as live television, YouTube, social video and video-on-demand. Forty-eight per cent of 16- to 34-year-olds ranked cinema as "premium" compared with only 17% for live TV, 15% for YouTube, 11% for social video and 9% for VoD. Similarly, 35% of this demographic said cinema ads were "trustworthy", against 31% for live TV, 15% for YouTube, 10% for social media and 9% for VoD. Other findings include the fact that young people regard cinema as a social experience, with an average group size of 2.9 people for each visit, and that they are "receptive" to longer, premium ads because they want to "escape" from their smartphones during a screening. Karen Stacey, chief executive of DCM, also pointed to figures that forecast UK box office admissions are set to hit a 40-year high of 176 million this year, thanks to hits such as Bohemian Rhapsody and Mamma Mia! Here We Go Again. And this has come, as Stacey put it, "despite Facebook, Twitter, Spotify, Netflix – all these things where people say: ‘Aren’t they going to be a threat to your audience?'". Of the 176 million cinema admissions, 44% have come from cinemagoers in the 16-34 age group and they make an average of eight visits a year. Stacey said: "It has certainly dispelled things about young people not being able to concentrate, not liking advertising or not liking brands." DCM, Britain’s biggest advertising sales house for cinema advertising, unveiled the research, Launch, Land & Impact, at its annual upfront presentation to advertisers at Bafta in Piccadilly. It is the fourth instalment in its "Building box office brands" series. Stacey said cinema had proved robust as a medium because it still has a 16-week "theatrical window", meaning there is no other place for people to watch a new film during that timeframe. "If there is a great audition on X Factor [on ITV], you can see it in so many places immediately, but with the cinema, if you want to see Fantastic Beasts, you’ve got to go to your local cinema," she said. Stacey added that the largest cinema audiences for the hard-to-reach 16-34 group are now on a par with television. This year’s highest-grossing film so far, Avengers: Infinity War, delivered more than three million 16-34 admissions, equivalent to 20 16-34 television rating points (TVRs), in its first two weeks of release, according to DCM. "We really start to change people’s perception from us being about incremental reach and a small medium for 16 to 34s to being pretty mass market," Stacey claimed. Significantly, the research found that young people have a broadly negative attitude to advertising, with 71% saying they felt they were "hounded" by advertising and 39% saying they have installed ad-blockers. "We all know reach is pretty easy to get, but it’s actual engagement, it’s cut-through, it’s impact that is harder and harder, especially with 16 to 34s," Stacey said. "This study dispels the myth that 16 to 34s have disengaged with advertising. They like brands, they expect quality content and are receptive to advertising in the right context." 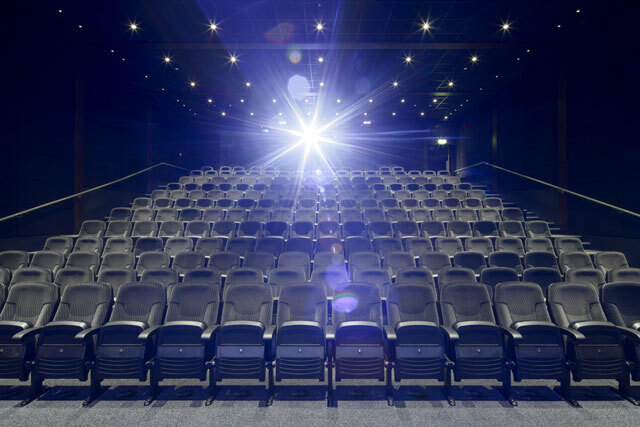 Group M has estimated that cinema ad revenues should be up 5% this year.